I am going to discuss with you how a new channel grows on YouTube. So you can grow your channel fast. It's important to know that influx of new viewers gonna obviously make a big difference in channel growth. But there are some other factors that play in terms of how those people responding to your content. They are going to make a difference if your channel actually grows or not. And of course, I am going to discuss some cool steps to grow your channel fast. 1.Good Communication- If a viewer can connect to a creator through the way to the creator communicates, through the humor they have, through the way they entertain, through how helpful they are or anything like that through that connection you can grow your channel because people are gonna say like "Hey I like that person" they were relatable in some way or I am getting some type of value out of their personality, so I am gonna Subscribe. And this kind of communication with the creature it's gonna a type of underplayed. But it is extremely important on YouTube. 2. Good Topic Selection- This is where planning your content and actually having a content strategy really comes in the play. When you putting your content ideas together what you want to do is actually mark down next to the idea. What purpose that video going to serve. For example, if it actually something that grows the channel. Then you might gonna say that this topic typically generates more Subscribers and more Views. Therefore, I am going to mark Subscriber video next to that because that is the purpose of that video to generate more Subscribers. If it's gonna money video then gonna say well I mark this as a money video because I am promoting something. Therefore, this one is going into the money category. That's what this topic is about. If it's a community building and you can market for that but the idea is basically to say every single piece of content that I am putting out this is exactly what this is intended for in these specific pieces of content over the course next 30 days are going to help to grow my channel. 3. Thumbnails- If your thumbnails are not going clicked on or if your thumbnails are not good or not generating that audience reaction then your channel is not going to grow. 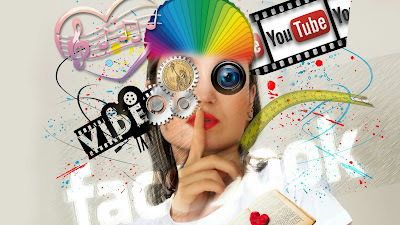 Inside your analytics, YouTube gives you the information you will know exactly how people are responding to your thumbnails and if you are on the low and the average that tells you to go and make some changes or else you are essentially sacrificing what is in your video content because you are neglecting the thumbnails. It's a whole puzzle, not just that one piece. In this whole bad thumbnail, the problem gets scaled up in terms of it not helping to grow your channel because if you are putting out videos and the thumbnails are not getting clicked on and the titles are not getting clicked on then YouTube will stop showing your videos to the people. If that happened you will not get views, you will not get subscribers and your channel doesn't grow. 4. Audience Retention- If your channel is getting good audience retention and people watching your videos in an extended period of time. If somebody clicks on your video and they click out shortly after then this will tell YouTube that people are not interested in the content and people do not like to watch this content and therefore just like the thumbnails YouTube is going to stop showing it to the people because when they show it to the people, people leave. Instead, they are going to do something better for them which is instead of showing your video they are going to someone else video their video gets more clicks on their thumbnail and people watch that video for the longer period of time once they clicked into it. So just on last two alone, if you are not focusing on trying to make those two better then you are costing yourself for growth on your channel. 5. Engagement of Content- People engaging with your content also helps your channel to grow. Here's why, off course all that stuff is being measured at the back end but if people are adding to you to the playlist then some of that playlist is discovered bond can help in bringing new viewers and people are sharing your content out on the Twitter, the Facebook and the Linked in or wherever. That also gonna bring new people because new people of those audiences of those people are going to see your content which is going to bring new viewers which can help your channel grow as well. 6. Consistency- Another thing that can help your channel to grow is simply being consistent because when you are consistent and you are consistently putting out content what you are going to do is going to learn a ton. Because as you are putting this content what's gonna happen is gonna you say hey I put up this video and people dare did not respond to this and therefore the next video that I make, I make the decision and you start making those decisions and getting all that information a lot faster if you are putting out content in a consistent basis. People really underestimate consistency but in reality, consistency is extremely important because of how much you learn by putting up videos on a regular basis.